Daniel established his lab at the Garvan in 2012 following postdoctoral training with Didier Stainier at UCSF. 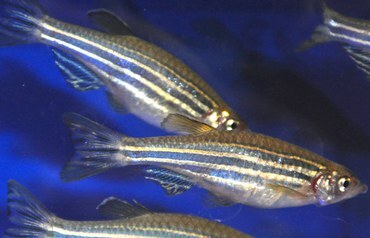 His group is exploiting the experimental advantages of the zebrafish model system to develop new approaches for tackling the growing diabetes epidemic. Zhang Y and Hesselson D. (2016) From bugs to beta cells. eLife 5:e23065. Malle EK, Zammit NW, Walters SN, Koay YC, Wu J, Tan BM, Villanueva JE, Brink R, Loudovaris T, Cantley J, McAlpine SR, Hesselson D, Grey ST. (2015) Nuclear factor κB-inducing kinase activation as a mechanism of pancreatic β cell failure in obesity. J Exp Med 212(8):1239-1254. Ye L, Robertson MA, Hesselson D, Stainier DY, Anderson RM (2015) Glucagon is essential for alpha cell transdifferentiation and beta cell neogenesis. Development 142(8),1407-17. Anderson RM, Delous M, Bosch JA, Lihua Y, Robertson MA, Hesselson D, Stainier D (2013) Hepatocyte Growth Factor signaling in intrapancreatic ductal cells drives pancreatic morphogenesis. PLOS Genetics 9(7), e1003650. Ninov N, Hesselson D, Gut, P, Zhou A, Fidelin, K, Stainier, DYR (2013) Metabolic regulation of cellular plasticity in the pancreas. Current Biology 23(13), 1242-50. Ni TT, Lu J, Zhu M, Maddison LA, Boyd KL, Huskey L, Ju B, Hesselson D, Zhong TP, Page-McCaw PS, Stainier DY, Chen W. (2012) Conditional control of gene function by an invertible gene trap in zebrafish. PNAS 109(38), 15389-94. Hesselson D, Anderson RM, Stainier DYR. (2011) Suppression of Ptf1a induces acinar-to-endocrine conversion. Current Biology 21, 712-717. Hesselson D, Anderson RM, Beinat M, Stainier DYR. (2009) Distinct populations of quiescent and proliferative pancreatic β-cells identified by HOTcre mediated labeling. PNAS 106(35), 14896-14901. Hesselson D and Kimble J. (2006) Growth control by EGF-repeats of the C. elegans Fibulin-1C isoform. Journal of Cell Biology 175, 217-223.